Enhance your seder plate with hand made Shmurah Matzah. 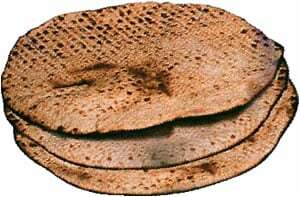 If you would like to order Shmurah Matzah for the festival of Pesach, please email Rabbi Korer. @ Rabbi@PutnamChabad.org with the amount of lb's you would like to order. The cost is $20/per lb of hand-made Shmurah Matzah. To read about the significance of this special Matzah, click here.